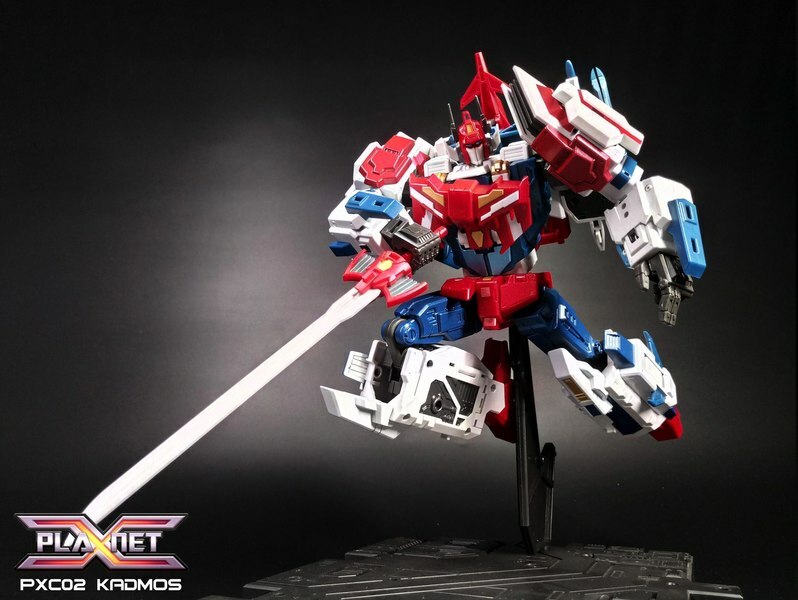 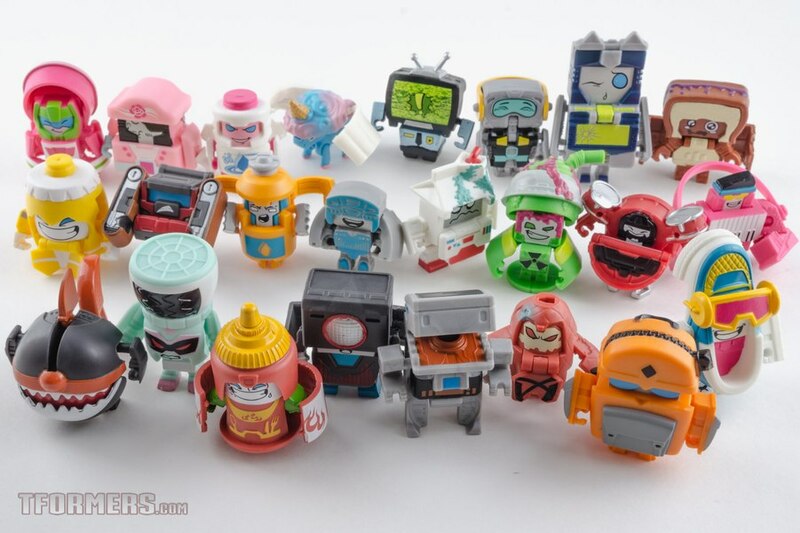 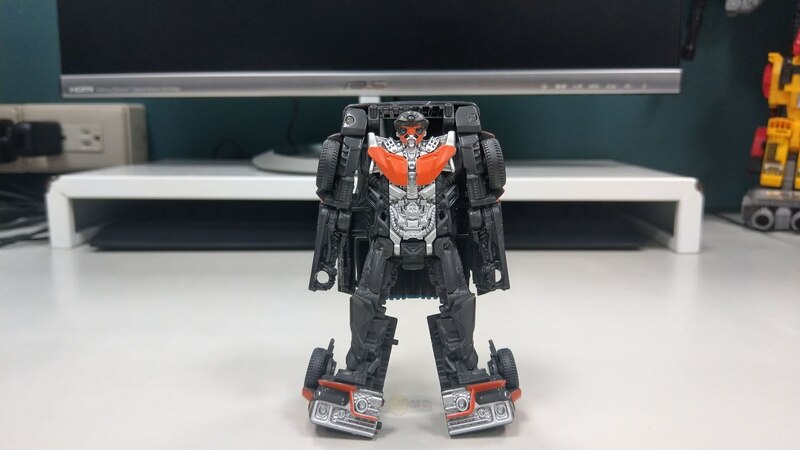 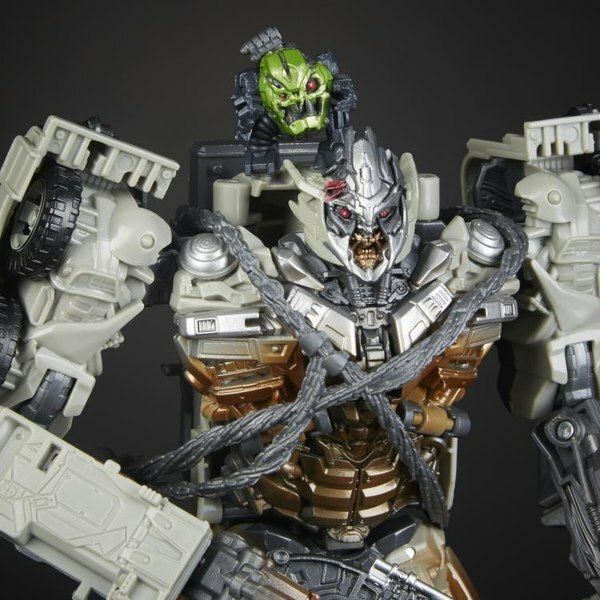 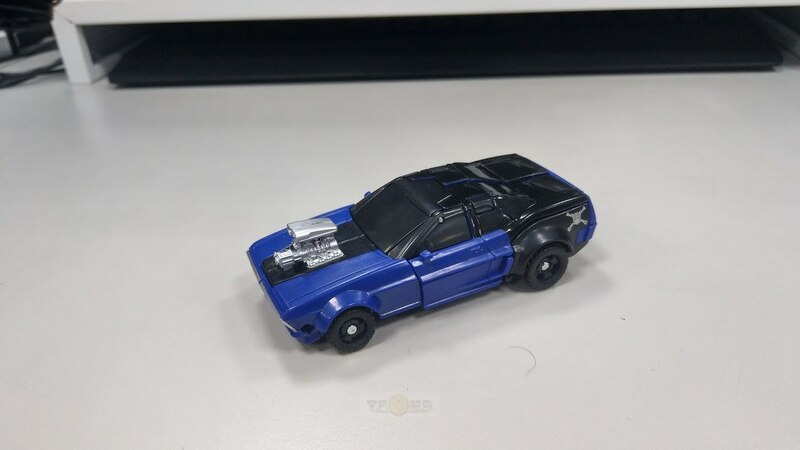 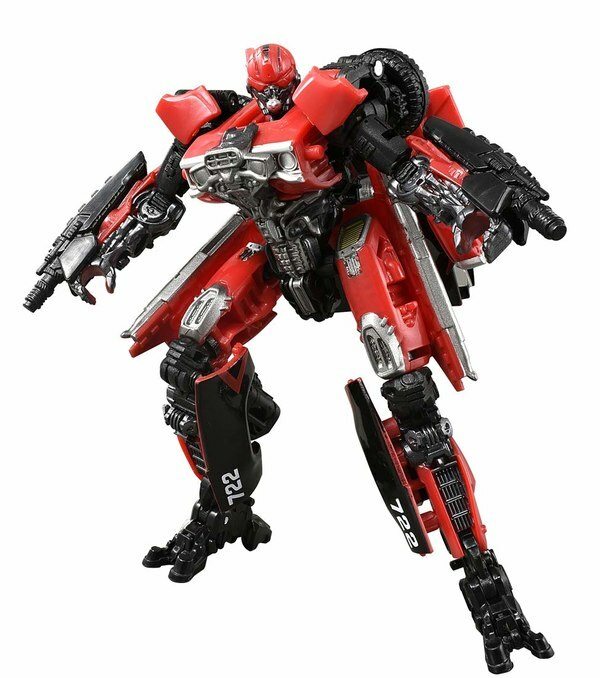 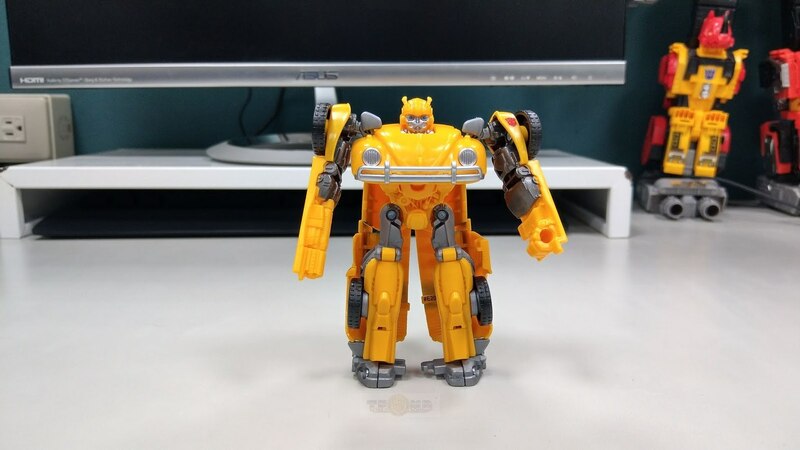 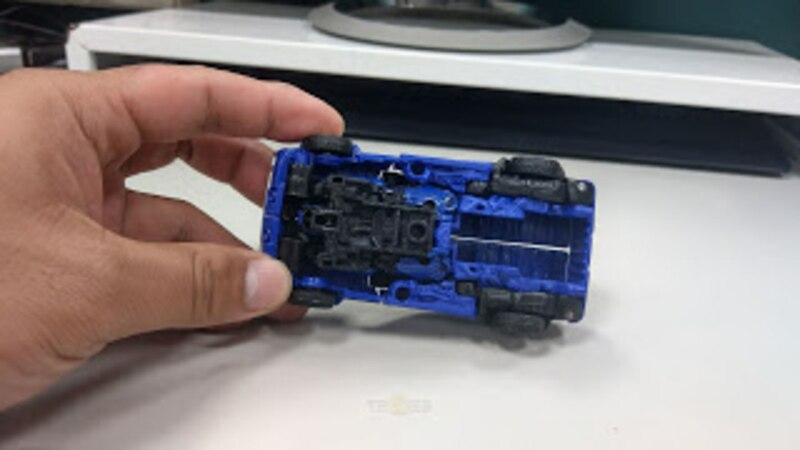 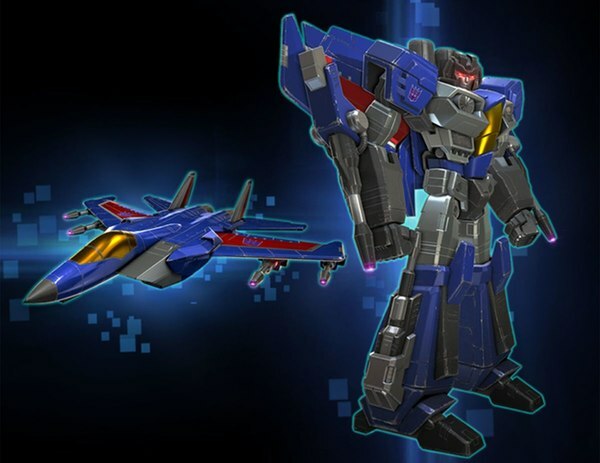 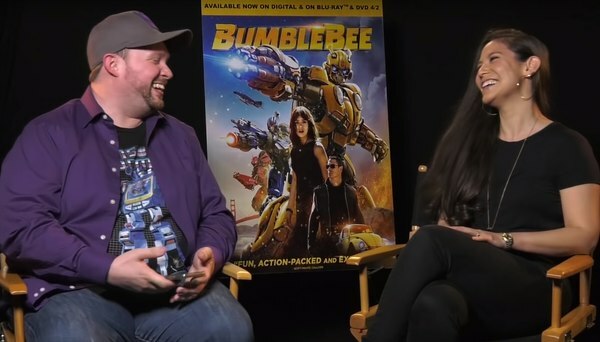 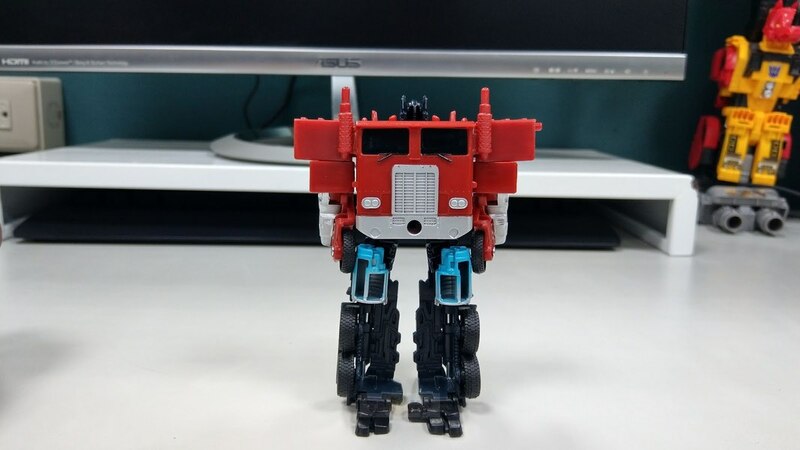 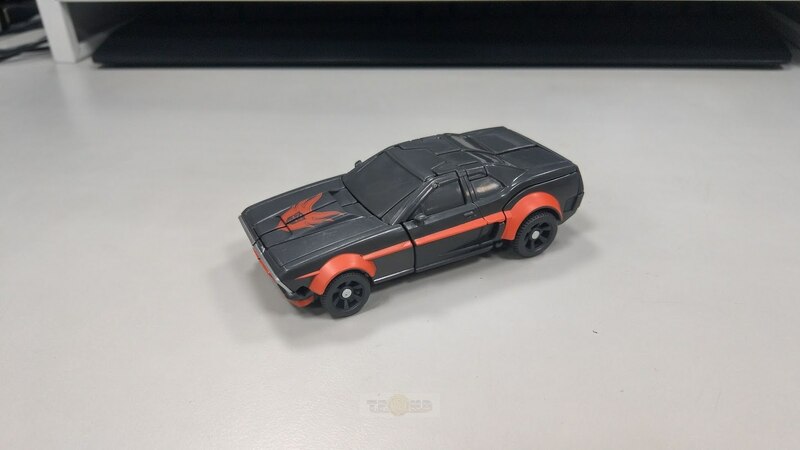 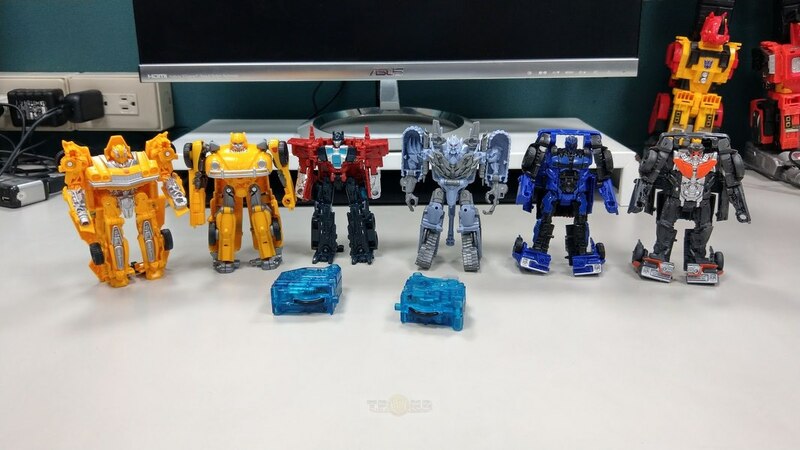 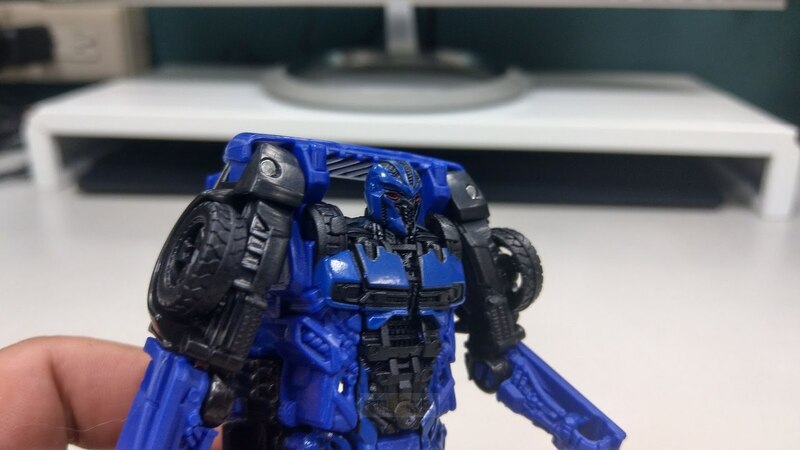 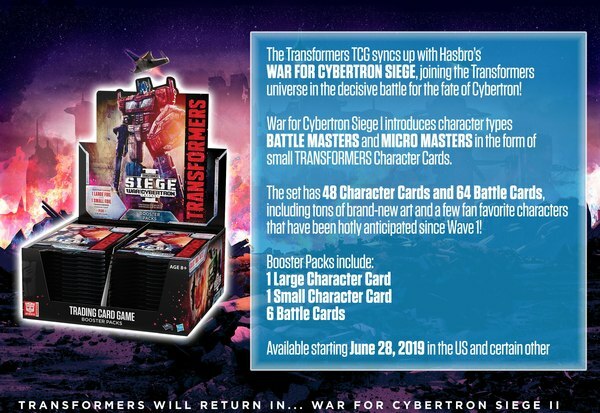 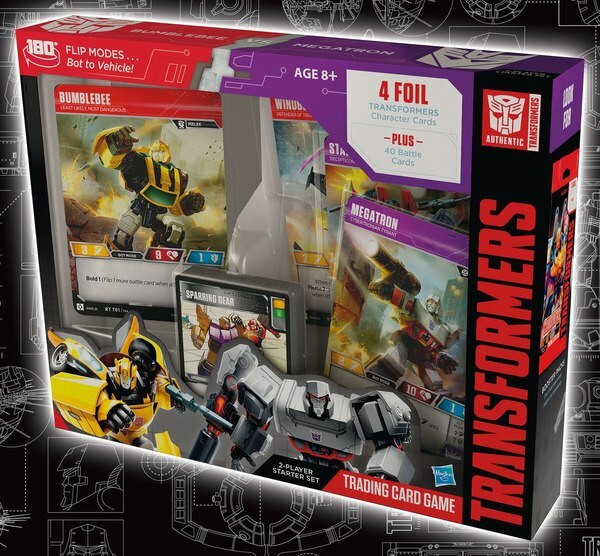 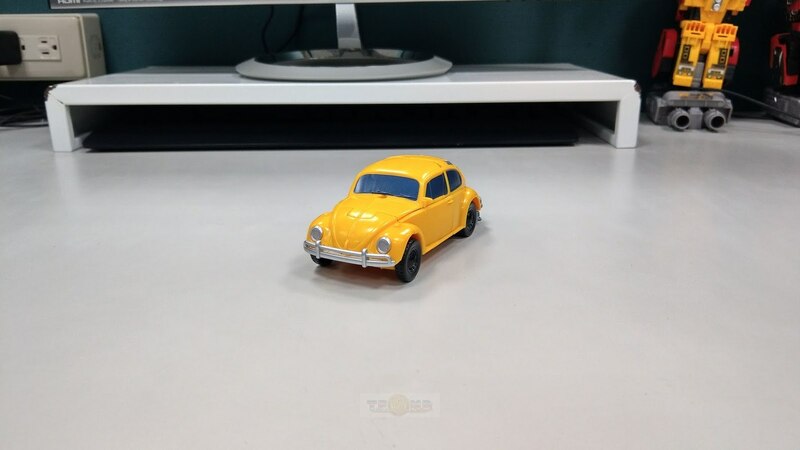 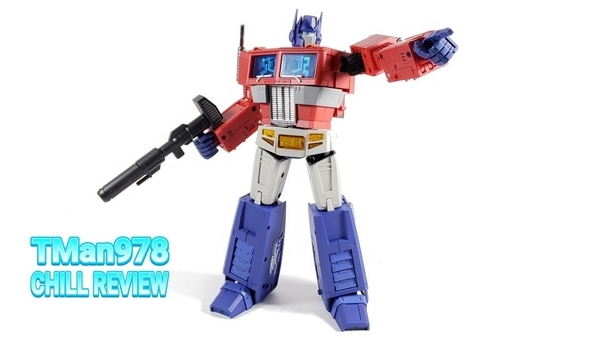 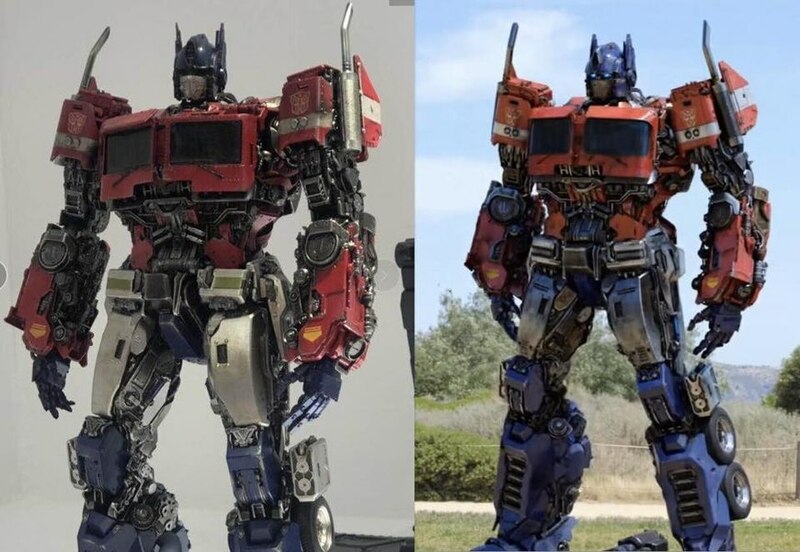 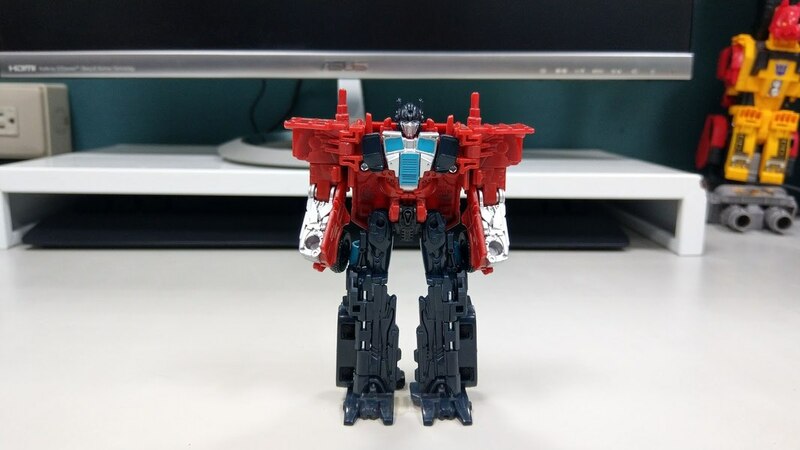 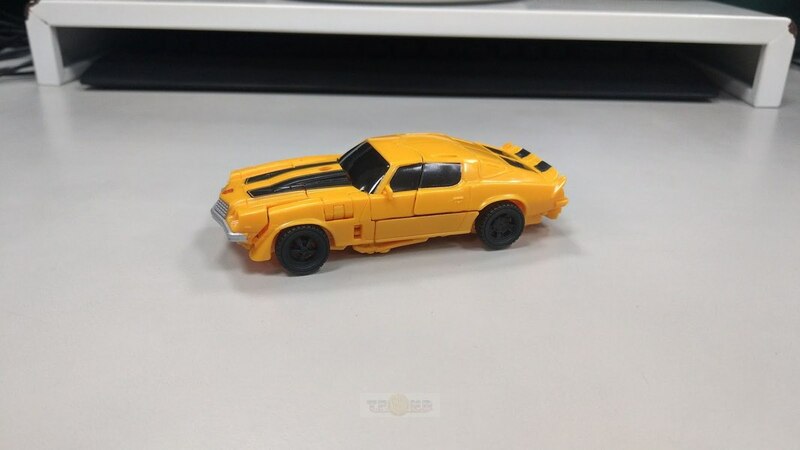 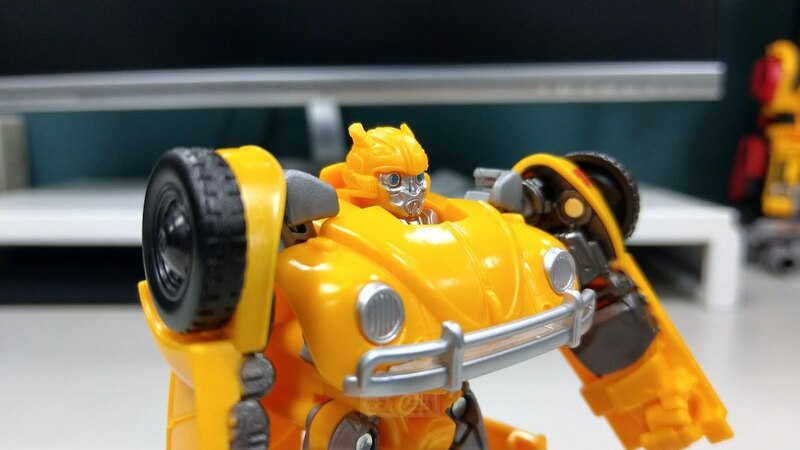 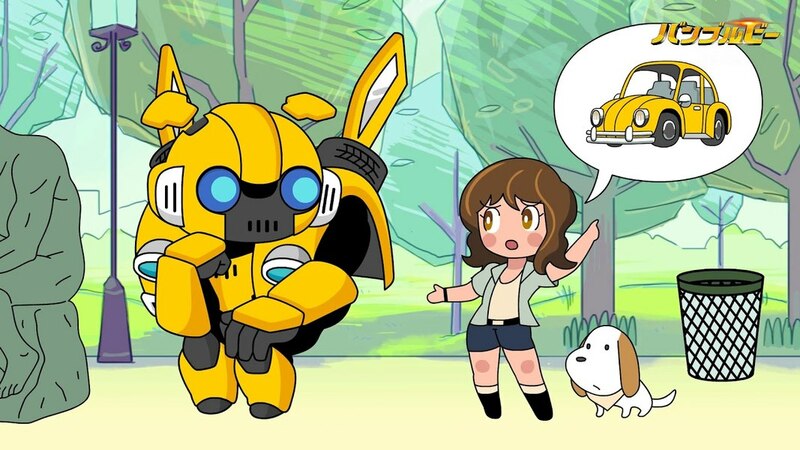 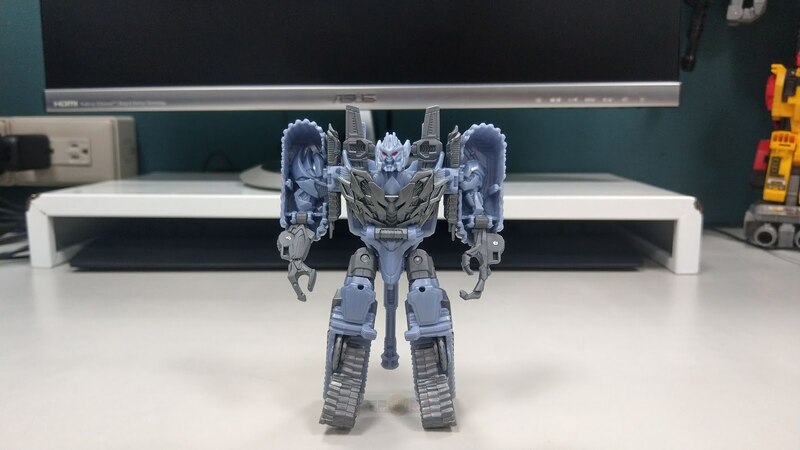 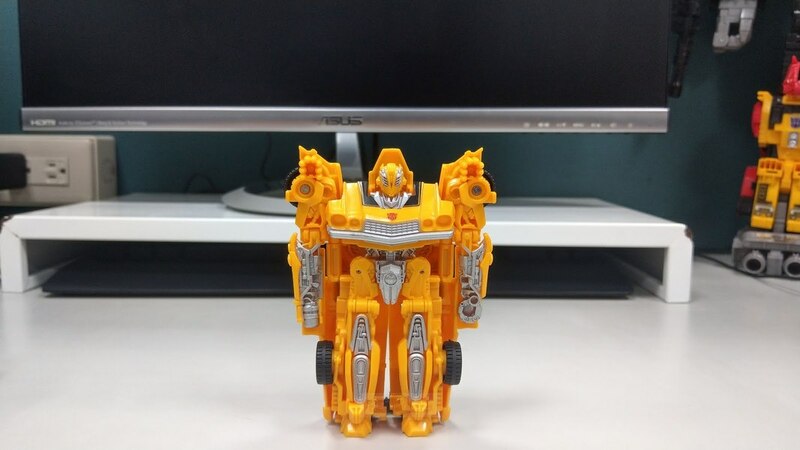 Blacklai, semi frequent provider of early looks at Transformers toys through Blacklai's Toybase, has shared an in-hand look at the first wave of the Transformers: Bumblebee Power Plus lineup, the intermediate-ish entry in the movie's gimmicked action figure range. 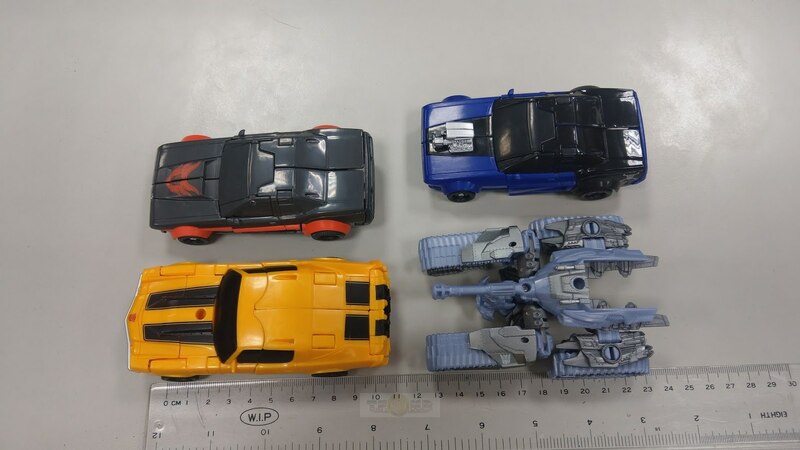 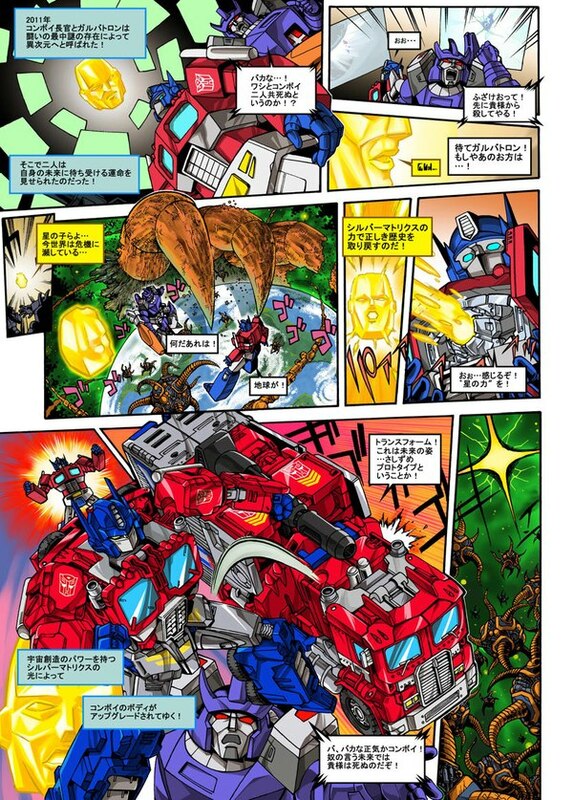 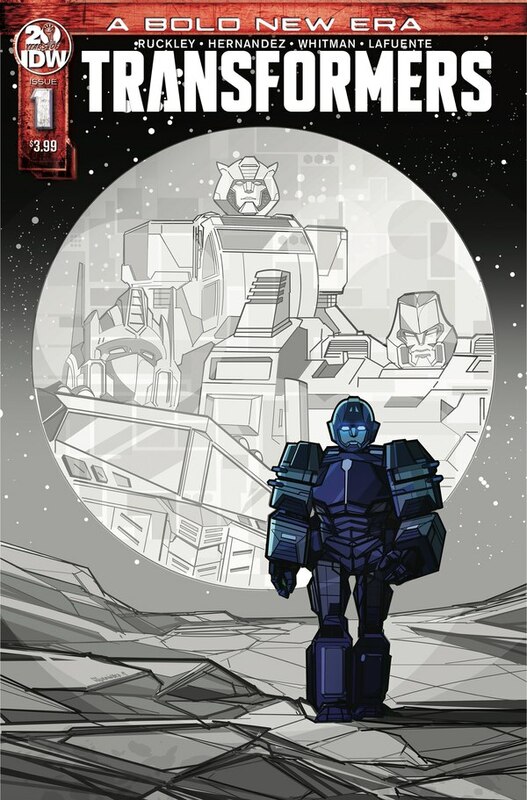 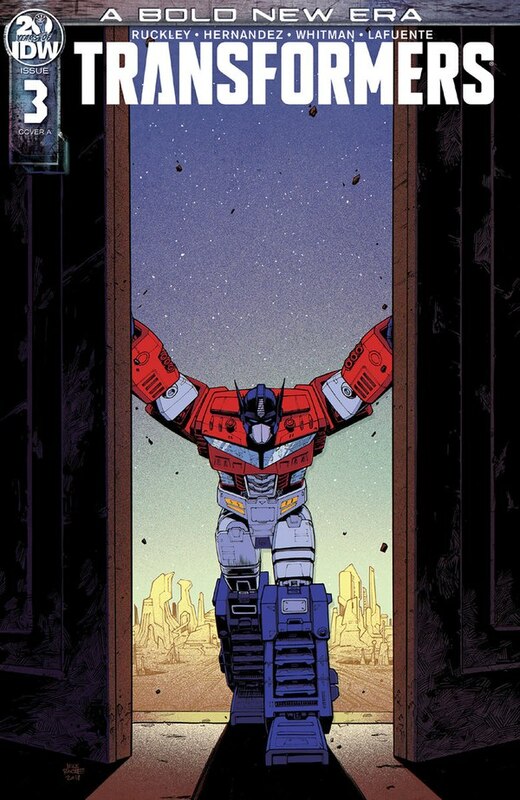 The wave comprises two different Bumblebees, an Optimus Prime, Dropkick (with car alt mode), plus a Hot Rod and a Megatron. 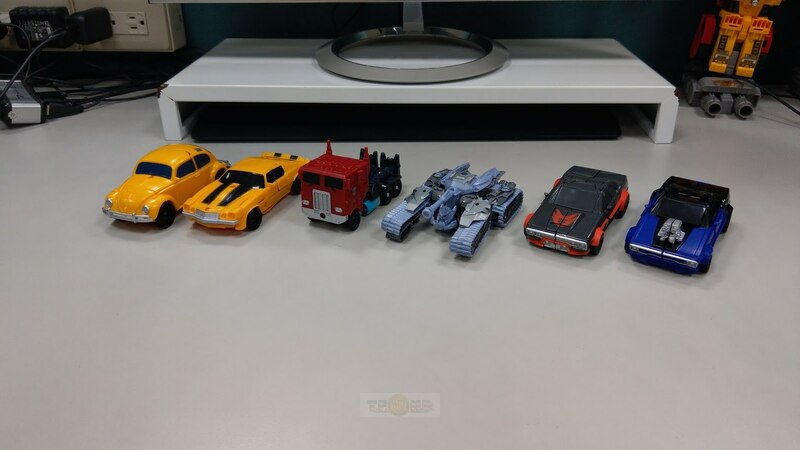 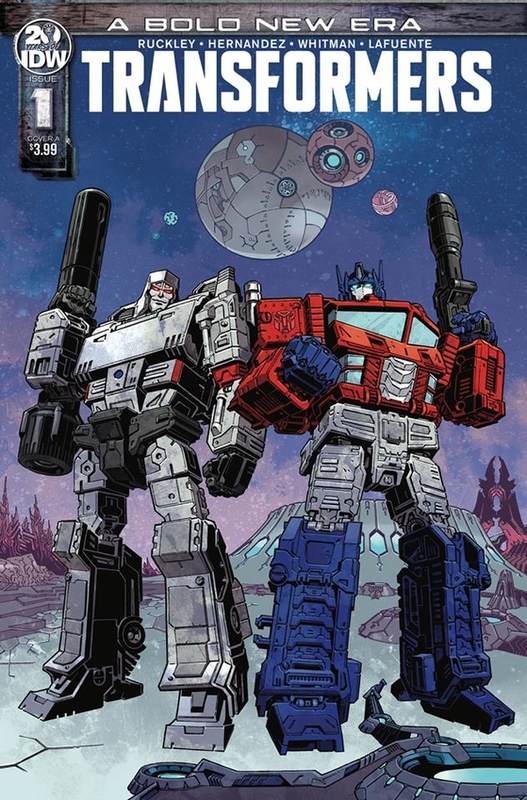 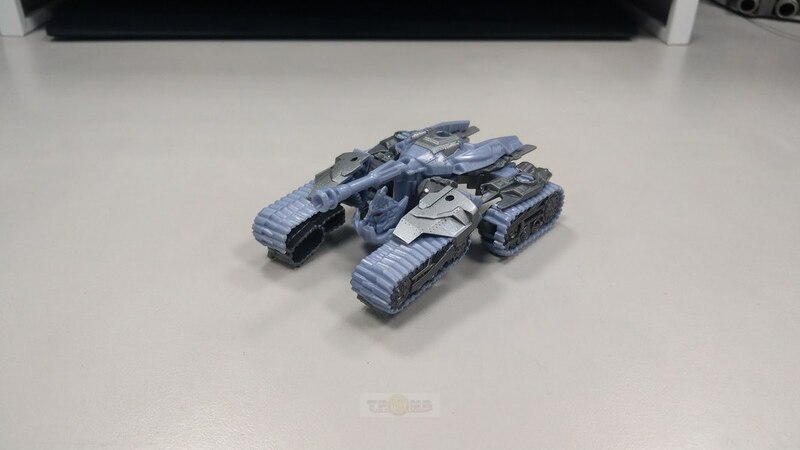 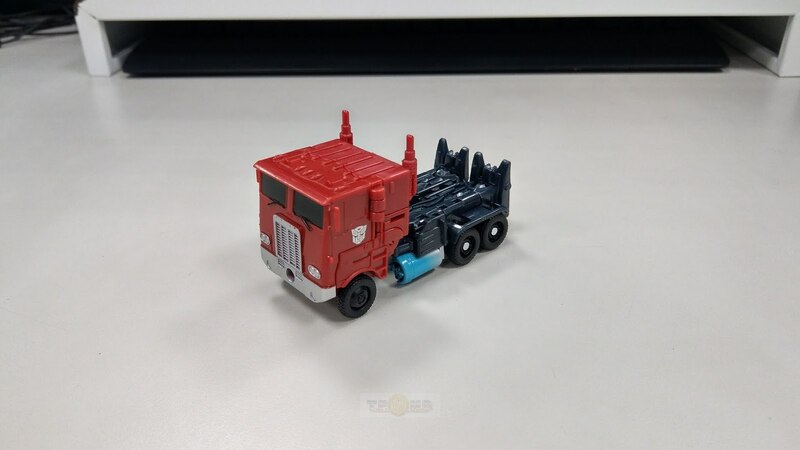 You can get a good overall look at each toy in both its modes, plus the gimmick-activated attack modes, and a useful shot measuring the size of the toys in their vehicle forms. 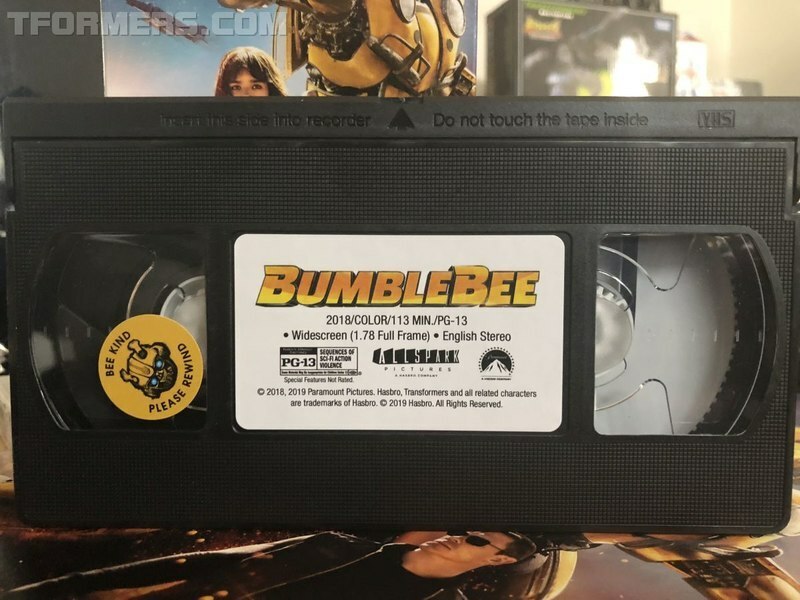 There's a lot of photos, so you can check out the selection that we've mirrored, and then follow the link back to Blacklai's site to see the whole batch.